The CALL for Concurrent Workshop, Lecture and Poster Presentation Proposals is CLOSED. The submissions deadline was March 1, 2019. Each year the planning committee for The Labyrinth Society Annual Gathering invites labyrinth facilitators, scholars, writers, artists, and creators to submit a written proposal and outline for a presentation or workshop to be held during the TLS Annual Gathering. 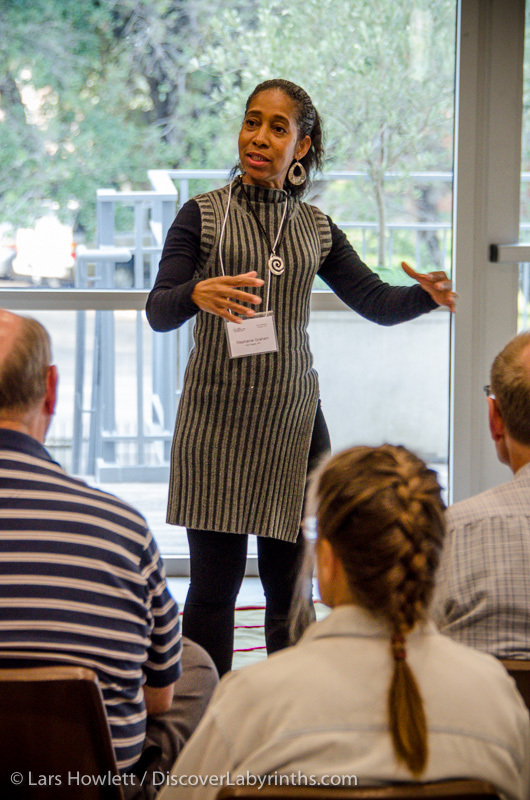 Collectively, the individual presentations address an overall agenda of technical, spiritual, and experiential practice at the beginning, intermediate, and advanced levels. 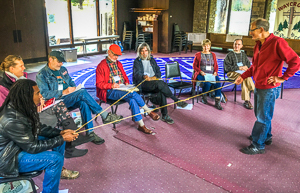 The theme of the 2019 Gathering is "Journey of the Heart: Making Connections, Building Community, Finding Common Ground." 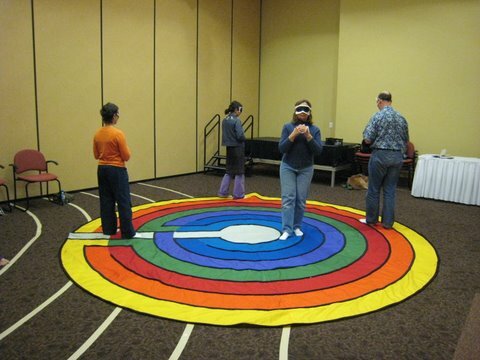 Our location at The Pearlstone Center offers an educational environment where we can share, learn and explore new ways the labyrinth is being used in our contemporary global community. This international conference will provide participants with an inspirational and educational environment where an exchange of ideas, learning, and networking can occur. The labyrinth is a sacred container within which our varied paths can unite and inform one another. So those interested in submitting a proposal were asked to consider allowing the 2019 Gathering theme to inform what they create. The proposal form and process are updated annually with the aim of making the experience of submitting a proposal consistently easier and more user-friendly. 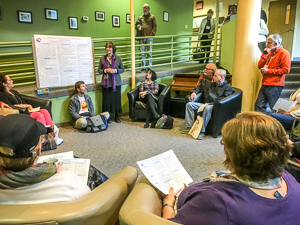 There were options to submit proposals for 90 minute experiential workshops and 60 minute lectures and poster presentations. Each proposal will be reviewed "blind" by the selection committee, i.e. without the names of the presenters attached to them, which ensures that selections are made based on the quality of the proposal. Similar to previous years, a short description (or "abstract") of each accepted presentation will also be featured on the TLS members-only website after the event. This provides presenters a way of gaining recognition for their work and offers members an opportunity to review presentations after the Gathering has ended. Presenters also have the option of submitting a PDF synopsis of PowerPoint slides for publication on the TLS members-only website after the Gathering. Proposal submission deadline was March 1, 2019. In order to be considered, the presentation proposal form needed to be completed in full and submitted by the closing date. In addition to recognition for presenting at an international conference and the opportunity to publish seminar synopses, presenters also receive an honorarium: $100 (USD) for workshops, lectures and poster presentations, (co-presenters share fees). In the event of multiple presenters for one session, the honorarium will be awarded to the individual designated as the lead presenter. The lead presenter will be the individual who completes and submits the presentation proposal form. It will be up to the presenters to negotiate sharing the compensation. Presenters are responsible for providing all materials and handouts for presentations, if needed, for their presentation. (In some cases a small materials fee may be requested from participants when the workshop involves creation of artwork to take home.) Some AV equipment may be available for presenter's use. Contact the Workshop Chair to explore available options. By August 15th, presenters must be TLS members in good standing and registered for the Gathering. Both day rates and full conference registration are available, as well as an early bird registration discount. Though registration prices vary depending upon location and length of stay, approximate cost is $700, inclusive of meals and accommodation, plus travel fees. Please consider airfare or other travel costs before submitting a proposal in order to better estimate your total expense if accepted. The deadline for submission was March 1, 2019. NEW IN 2019 - submission will be made by completing an online Google Form. Please download and review the Concurrent Presentation Proposal Instructions below before completing the online Google Proposal Form. Questions? Contact the Workshop Chair.